The beginning of a New Year is a great time to think about listing your home on the local housing market here in Ottawa. After all, recent market indications suggest that home sellers have an excellent opportunity to get the price they want for their property in Ottawa. But before you do decide to enter the local housing market as an Ottawa home seller, you should consider doing a few things first. Begin to Detach yourself form your home. This is not only important with protecting yourself emotionally from the difficulty of leaving a home but it will also help you sell your home quicker. That’s because when home buyers walk through your home, they want to be able to envision themselves living there, not you. So consider removing extra-personal trinkets throughout your home, such as cleaning up a wall of family photos. De-Clutter. By doing so, you’ll help make your home feel bigger and more inviting. Consider removing all books from bookcases, donating any items you haven’t used in the last year and packing up extra knick-knacks. You’ll be glad you did! Organize your bedroom closets and kitchen cabinets. You might not think buyers will look in these places but they will. And it will leave quite a positive impression if, when they look in these places, it is clean and organized. Consider alphabetizing your jars or neatly stacking your dishes. Rent a storage unit. This will enable you to get rid of any excess clutter in your home without forcing you to part ways with it just yet. You might also consider putting some of your furniture in these storage units as well. Remove Your Favorite Items. Believe it or not, a buyer can request that certain items they see in your home be added to the contract. And if you say no, it may kill a deal. But a buyer can’t miss something they never even knew about. So if it’s important to you, remove it from sight so that it’s not on the negotiation table. Give your home a thorough cleaning. This may seem obvious but some sellers don’t think about just how much cleaning this actually involves. In addition to your regular vacuuming, sweeping and dusting the main rooms, make sure to give other often-overlooked places some attention as well. This includes your closets, the inside of your fridge and even your cabinets. We’ll Help You Sell Your Home in Ottawa! 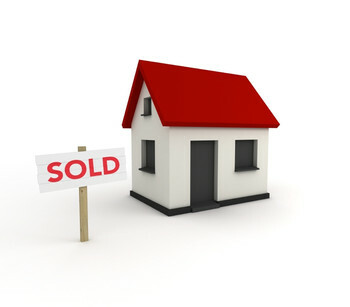 For more valuable tips on how to successful sell your home on the local housing market, make sure to contact us. We would love to assist you by answering any questions you may have as well as providing you with some valuable home selling resources.